There seems to be a feeling going around that print marketing is on its way out. At PCA Delta we believe that sentiment couldn’t be further from the truth. Not only do we disagree, but we’re on the cutting edge of moving Print and Print Marketing into the future. Human beings are naturally tactile creatures, so it goes without saying that tangible media will make a stronger impression than virtual media. It’s all about the senses; print engages them better. When was the last time you smelled an ad on your computer screen? Probably never. But I’m sure you remember the smell of all the new books on the first day of school. These tactile memories are imprinted on customers' minds as they feel and smell the material of printed media. 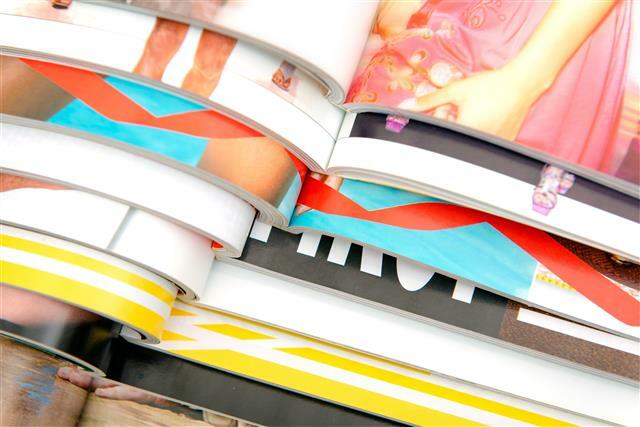 As a result, print adds a more personal dimension marketing than virtual media. Print also has an effect on those producing the content, as it forces one to experience how well a design translates across different media. Seeing your designs on something other than the screen can help you view them in a new light, so to speak. The real test of your ability to engage an audience comes when the media has to stand alone, without the aid of animations or clickable content. But doesn't Social Media compete with print? Quite the contrary; the two can work together. There’s no need for a binary approach to marketing. Instead, utilizing print and social media together can widen the effective demographic of a marketing campaign. The combination significantly increases a marketing campaign’s points of contact. Finally, print marketing can drive your carefully curated online reputation into the real world by sharing reviews and testimonials on paper. Despite anything you might have heard, print is far from dead. Instead, it's evolving to meet the needs or a competitive marketplace. At PCA Delta, we have what it takes to move your ideas from thought to reality. We have the team to guide you through it and the technology to make sure you get quality material every single time. Contact us today for all your printing needs.